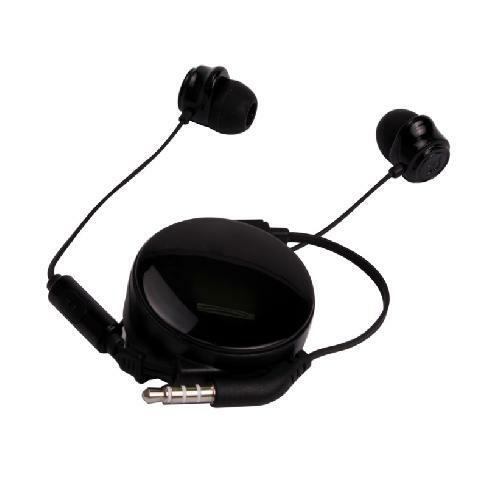 You can enjoy Music at it’s Potential With These Reachable Ear Phone with Hi-Fi Stereo Sound. The Noise-Isolation Feature Allows You To Enjoy Your Tunes Without External Distraction. The Retractable Cable Enables You to Keep You Gadget Tangle –Free, Preventing It From Breaking Or Wearing Too Quickly. Enjoy Your Earphone in Comfort, Courtesy of the Handy Clip That Keeps Your Gadget’s Wires in Line and Lightens the Weight for Your Ears. Premium Sound and Voice Quality. Allows User to Talk and Listen To Music Hands Free. In-Line Microphone in Abs Housing. Adopted a Highly Conductive Gold Plated 3.5mm Plug.